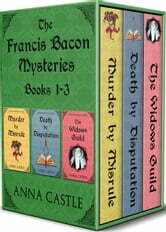 Then in Death by Disputation, Bacon sends Clarady to Cambridge to spy on radical Puritans. When Tom finds his tutor hanging from the rafters, his first suspect is the volatile poet, Christopher Marlowe. Chased by three lusty women and spurred by the exacting Bacon, Tom risks his very soul to catch the criminals. It’s August, 1588, in The Widows Guild. The Spanish fleet has been chased away, but now someone is turning Catholics into widows, masking the crimes under armada fever. 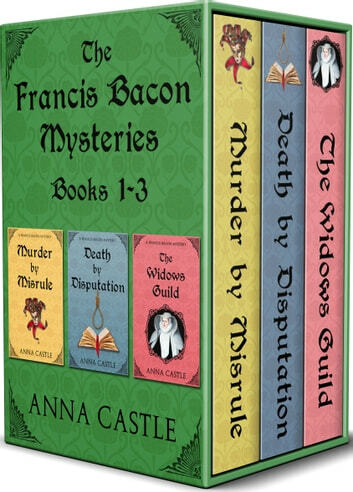 Francis Bacon is charged with the investigation by a widows’ guild led by his formidable aunt. He must untangle multiple crimes driven by patriotism, greed, lunacy — or all three.